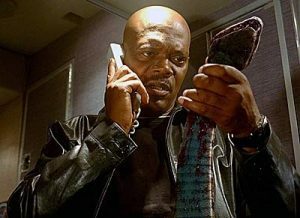 Snakes on a plane! I mean . . . snaking your drain! Snaking your drain or toilet is one of the most common methods of clearing it. That said, not everyone has either the equipment or the know-how to do so properly. That’s where we come in! 1. Toilet Auger: A toilet auger is, specifically, a snake made for toilet stoppages. If you have already tried using your plunger with little success and suspect that something may be stuck inside the pipes, a toilet auger is a great option. Costing less than $50 at most department or hardware stores, toilet augers can prevent a plumbing service call. If you own a business and have urinals, you can purchase a similar tool, the urinal auger. 2. Top Snake: This item is the smallest type of snake, used mostly in tubs, showers, bathroom sinks, washing machines, and even kitchen sinks. The cable on a top snake is usually 25’ long. Electrical options are available and are often easier to use if this is your first time snaking a pipe. Renting a top snake can cost approximately $25 for a few hours. You can also purchase one used for $100. If you suspect that your stoppage is less than 25’ in, top snake is for you. 3. Large Drain Machine: Sounds heavy! This tool is used for drains that are 3” or larger in width. A snake machine comes in many shapes and sizes, but the best one for domestic issues generally has a minimum ⅝” cable at a length of 50’ to 100’. Like the other options on this list, a drain machine can be rented by the hour. Remove the trap (in a sink) and insert the snake into the drain line, pushing until you meet the obstruction. When the tip of the snake is against the clog, twist the snake’s handle clockwise to hook on. Once you have hooked onto the debris, twist and push the clog back and forth until you have broken the clog. Flush the pipe with hot water, either by turning on the faucet (in a sink) or flushing the toilet. If you cleared a sink drain, you will need to reassemble the sink’s trap once the clog is cleared, including the threads that need resealing. Use pipe joint compound or Teflon tape and run the water for a few minutes to make sure that the clog is completely flushed and not leaking. Have questions? Call Simpson for instructions and drain-clearing tips.